I’m back from Tokyo but am still there in spirit (and sleep schedule, damned jet lag). It exceeded all of my expectations and surprised me in ways I couldn’t have imagined. Some of my biggest surprises were the sounds of the city (or lack thereof). For being the largest metropolitan area IN THE WORLD, Tokyo can be amazingly quiet. I believe we only heard two cars honk and one baby cry (which turned out to be a white baby, mind you) during our entire visit. The city is incredibly efficient, organized and clean and offered many moments of serenity in what I thought would be a crazy concrete jungle. 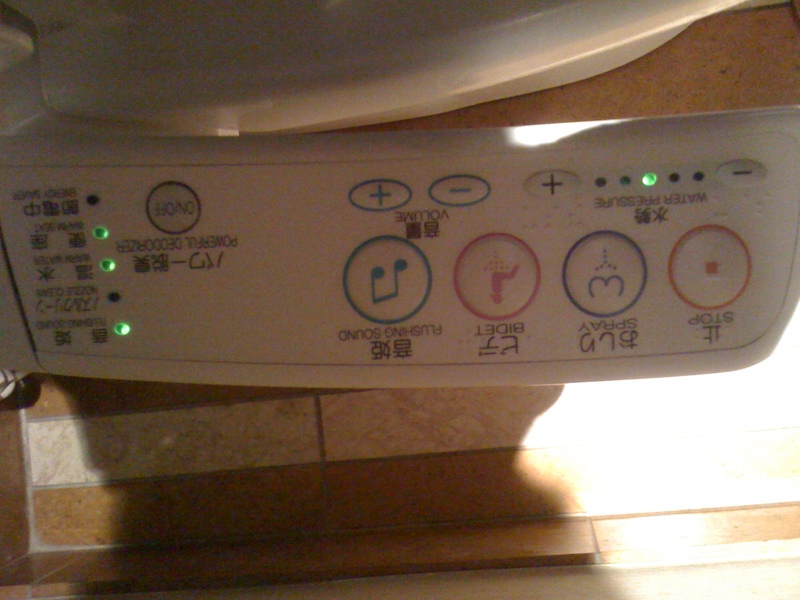 My bottom will surely miss the heated seats but I was astounded to see a computerized hand rest with an assortment of little buttons offering various options, one of them being a music note that makes “flushing sounds” to mute away any undesired noises. Now that’s something many office restrooms would benefit from. so fun!!! we want pictures! Pics to follow! Need Nikola to do his magic.